Do you need security screen doors, screens for french doors, or a pet screen door? "It depends" is the standard answer when anyone is trying to compare one thing over the other. Most of the time, they are trying to compare apples to oranges. So what you choose to put on your home (or in your store) is going to depend on a number of factors. Click on the images to learn more about these PCA Screen Door options. if your front door is wood. A storm door will cause condenseation that will not only rot the storm door, but also your wooden door and casing. A storm door will be more of a problem than a solution. if you live in an upscale community. Most storm doors are not allowed by the home owners association (HOA) because they are 'cheap' looking. if you have side-glass on the sides of the door. The wooden frame around the door itself is not likely to be deep enough, so an additional frame will need to be installed. Read more about common complaints of storm doors on City Data. The wind slams the door, breaking the hinges. The door rots or rusts. The screen gets pushed out, ripped, or frays. Pets and children destroy the screen and the door! Its sags, and lets the bugs in. Common screen door repairs you can avoid, reduce, or eliminate entirely. If you live in very cold climates and need the extra year round barrier. If you have a less-than-efficient fiberglass door and need the added efficiency. Are you a frustrated homeowner who needs an stylish, upscale, and quality screen door instead of another a storm door? 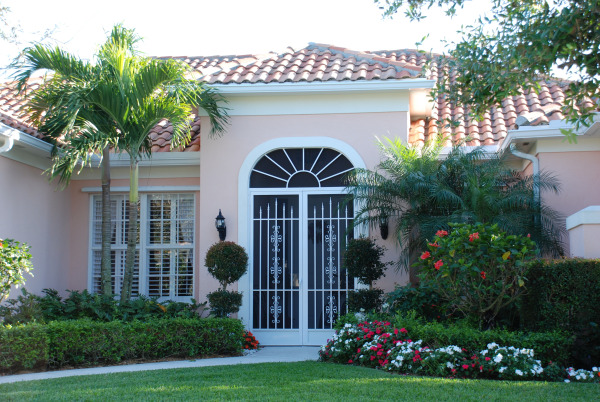 Learn more about PCA Screen Doors and how you can buy yours. What are you selling to your consumers? Another problem or a better product that will keep them coming back for more? Find out why PCA is not just another screen door manufacturer. We actually care about where our products end up.